WAVERLY — Dike-New Hartford put together an impressive performance, winning 10 events Tuesday at Waverly-Shell Rock’s Dave Sage Relays. Cedar Falls captured seven events while the host Go-Hawks won a pair and Waterloo West won one. Parker Kiewiet won the 200 and the long jump for Dike-New Hartford while also running on the winning 4x400 and distance medley relays. TIGERS ROLL: Cedar Falls Amara Lytle took medalist honors with a 42 as the Tigers won a Mississippi Valley Conference quadrangular at The Meadows Golf Course in Dubuque Tuesday. Grace Considine was just one shot behind Lytle while Megan Sawyer added a 45 for Cedar Falls, which had a 180 team score. WAHLERT WINS: Dubuque Wahlert won the Mississippi Valley Conference quadrangular at St. Andrews Golf Course in Cedar Rapids while Waterloo West placed fourth. The Wahawks were led by Maddie Dolan’s 48. COLUMBUS EDGES HUDSON: Waterloo Columbus’ Charlie Lorenz, Trey Mudd and Ben Skyles all shot 45 or better as the Sailors edged Hudson 185-191 in a boys’ golf dual meet at South Hills Golf Course Tuesday. Jacob Wiersma of Hudson took medalist honors with a round of 42. COLUMBUS 5, BOONE 4: Columbus pulled out a narrow win over sixth-ranked Boone in a battle of top 10 boys’ tennis teams Tuesday at Byrnes Park. The fourth-ranked Sailors won the top three singles matches handily with Daniel Buchanan, Joseph Haag and Jon Dobson and won a key matchup at No. 6 where Mason Monaghan won in a tiebreaker. Buchanan and Haag rolled at No. 1 doubles to clinch the team victory. 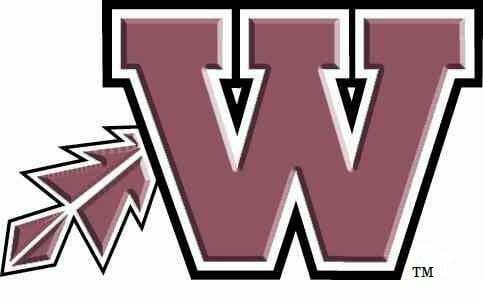 WEST 6, WAVERLY-SHELL ROCK 3: Waterloo West won four singles matches and a pair of doubles matches to defeat Waverly-Shell Rock. Zach Heyerhoff, Andrew Christensen, Nick Ritland and J.P. Richmond were singles winners while Heyerhoff and Christensen and Ritland and Richmond teamed up for doubles wins. 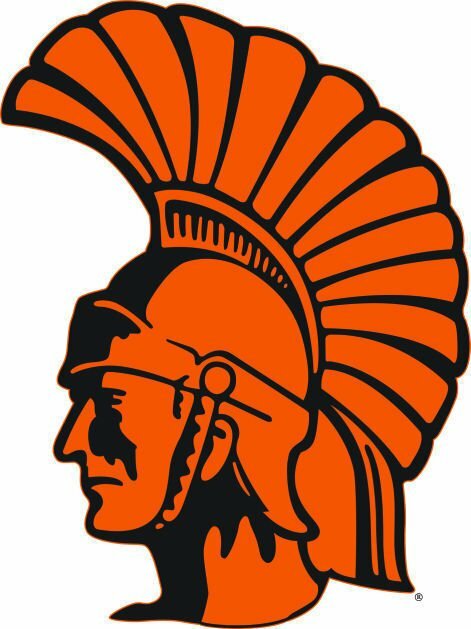 COLUMBUS 8, BOONE 1: Waterloo Columbus handed Boone (3-1) its first defeat of the girls’ tennis season. Taylor Hogan, Grace Sullivan, Margaret Harn and Chloe Butler won their singles matches in straight sets for the Sailors (3-0). WESTERN DUBUQUE 5, WAT. WEST 4: Western Dubuque took two of the three doubles matches to edge Waterloo West in a Mississippi Valley Conference dual meet. West got singles wins from Alyson Hurley, Sarah Rizvic and Kaitlyn Meyers, but couldn’t pull out the team win. CEDAR FALLS 7, DUB. WAHLERT 2: The top of Cedar Falls’ lineup overpowered Dubuque Wahlert and sparked the Tigers to a 7-2 Mississippi Valley Conference win. Krisha Keeran, Mira Keeran, Malina Amjadi and Jamie Knox won in straight sets. The Tigers swept the doubles. CEDAR FALLS 2, LINN-MAR 1: Linn-Mar struck first, but Cedar Falls struck once more often Tuesday as the Tigers won a Mississippi Valley Conference boys’ soccer contest. Randev Goonesekere tied the game for Cedar Falls in the first half, then won it with the only goal of the second half. Tim Thompson and Tanner Tange had assists for the Tigers (2-1) while Matthew Cook had five saves in goal, including a game-saver late in the match. Benny Bundi and Oskar Brocka anchored a tough back line of defense for Cedar Falls. LINN-MAR 4, CEDAR FALLS 0: Fifth-ranked Linn-Mar got two goals apiece from Hallie Peak and Abigail Santana to defeat Cedar Falls in Mississippi Valley Conference action. The Lions improved to 3-0, while the Tigers slipped to 1-4. 100 — 1. Kyle Trunnell (Cedar Falls) 11.27, 2. Jibreel Bailey (Ced. Falls) 11.79. 200 — 1. Parker Kiewiet (Dike-NH) 23.30, 2. Jeron Shaw (Wat. West) 23.86. 400 — 1. Jackson Westemeier (Wat. West) 53.99, 2. Jack Jorgensen (Ced. Falls) 54.60. 800 — 1. Sam Kepford (Waverly-SR) 2:00.50, 2. Luke Stromberg (Waverly-SR) 2:10.06. 1,600 — 1. Alex Mujica (Ced. Falls) 4:54.85, 2. Alex Horstman (Ced. Falls) 4:57.71. 3,200 — 1. Ethan Kober (Ced. Falls) 10:42.81, 2. Andrew Cummer (Waverly-SR) 10:47.97. 110 hurdles — 1. Seth Eden (Dike-NH) 15.56, 2. Amel Saric (Wat. West) 16.86. 400 hurdles — 1. Grant Bixby (Dike-NH) 57.32, 2. Trunnell (Ced. Falls) 57.44. 4x100 weightman’s relay — 1. Dike-New Hartford (Drew Boldt, Kaid Dennis, Jacob Thompson, Nathan Graves) 50.76, 2. Waverly-Shell Rock (Seth Blanchette, Peyton Groen, Cade Carpenter, Matt Pursell) 58.13. 4x100 relay — 1. Cedar Falls (Trunnell, Joey Nielsen, Jibreel Bailey, Trey Campbell) 45.65, 2. Dike-New Hartford (Cade Bennett, Ryan Moore, Noah Epley, Cade Fuller) 45.97. 4x200 relay — 1. Dike-New Hartford (Reece Harrenstein, Ely Sohn, Isaiah Woodley, Brady Huff) 1:39.13. 4x400 relay — 1. Dike-New Hartford (Bixby, Moore, Derek Kinney, Kiewiet) 3:32.52, 2. Waterloo West (Westemeier, Sebestain Gunderson, Adnan Rizvanovic, Jeron Shaw) 3:37.93. 4x800 relay — 1. Cedar Falls (T.J. Tomlyanovic, Mujica, Zach Biles, Easton Sckerl) 8:53.09, 2. Waverly-Shell Rock (Stromberg, Nick Kepford, Logan McCullough, Ethyn Chestnut) 9:16.84. Sprint medley relay — 1. Cedar Falls (Jake Raecker, Zander White, Carter Ernst, Ryan Finck) 1:46.62, 2. Dike-New Hartford (Jacob Thompson, Harrenstein, Dennis, Gabe Skornia) 1:47.55. Distance medley relay — 1. Dike-New Hartford (C. Fuller, Bixby, Kiewiet, Moore) 3:45.90, 2. Waverly-Shell Rock (Daniel DeBower, Ben Hemer, N. Kepford, Elijah Davis) 3:59.36. Shuttle hurdle relay — 1. Dike-New Hartford (Eden, Bixby, Sohn, C. Fuller) 1:01.05, 2. Cedar Falls (Owen Ausborn, Logan Hoag, Jake Block, Raecker) 1:08.18. High jump — 1. Dane Fuller (Dike-NH) 6-0, 2. Bando (Wat. West) 5-8. Long jump — 1. Kiewiet (Dike-NH) 22-9.75, 2. Zeph Toe (Wat. West) 20-5.0. Shot put — 1. Jackson Leistikow (Ced. Falls) 49-8, 2. Mosai Newsom (Waverly-SR) 49-5. Discus — 1. Newsom (Waverly-SR) 150-11, 2. Leistikow (Ced. Falls) 136-11. Singles — Daniel Buchanan (Col) def. Connor Patterson 6-0, 6-0, Joseph Haag (Col) def. Carter Kelley 6-3, 6-1, Jon Dobson (Col) def. Joe Zehr 6-0, 6-1, Nick Rose (Boone) def. Alex Buser 6-4, 0-6, 10-5, Brandon Rouse (Boone) def. Alex Feldman 6-1, 6-0, Mason Monaghan (Col) def. Jacob Sterenberg 6-4, 5-7, 12-10. Doubles — Buchanan/Haag (Col) def. Kelley/Zehr 6-1, 6-0, Patterson/Rouse (Boone) def. Dobson/Buser 6-4, 6-4, Rose/Ben Crave (Boone) def. Dylan Mack/Simon Larsen 6-1, 6-4. Singles — Taylor Hogan (Col) def. Myra Bernard 6-0, 6-2, Elysse Trost (Col) def. Lauren Wieland 6-3, 4-6, 10-7, Grace Sullivan (Col) def. Kinsie Zinnel 6-1, 6-0, Margaret Harn (Col) def. Elle Turner 6-2, 6-1, Alaney Parker (Boone) def. Bailey Sinnwell 3-6, 6-2, 10-5, Chloe Butler (Col) def. Anna Freund 6-1, 7-5. Doubles — Hogan/Trost (Col) def. Bernard/Wieland 6-2, 6-2, Sullivan/Butler (Col) def. Zinnel/Turner 6-1, 6-2, Harn/Bre Phillips (Col) def. Parker/Freund 6-3, 7-5. Singles — McKenzie Simon (WD) def. Meredith Eighmey 7-5, 0-6, 10-6, Brianna Dolphin (WD) def. Regan Davis 6-2, 6-3, Olivia Kertels (WD) def. Ava Shepard 6-3, 6-1, Alyson Hurley (West) def. Meg Besler 6-1, 6-4, Sarah Rizvic (West) def. Grace Pitz 7-6, 2-6, 1-0, Kaitlyn Meyers (West) def. Amanda Dougherty 6-4, 6-1. Doubles — Simon/Dolphin (WD) def. Eighmey/Davis 6-3, 6-4, Kertels/Pitz (WD) def. Hurley/Shepard 6-2, 6-3, Meyers/Rizvic (West) def. Besler/Dougherty 6-4, 6-1. Singles — Krisha Keeran (CF) def. Anna Freiburger 6-0, 6-1, Mira Keeran (CF) def. Caroline Hutchinson 6-0, 6-1, Malina Amjadi (CF) def. Macy Vance 6-0, 6-2, Jamie Knox (CF) def. Sydney Timp 6-4, 6-0, Morgan Herrig (DW) def. Elena Escalada 5-7, 7-5, 11-9, Claire Walker (DW) def. Vipsa Dodiya 4-6, 6-4, 11-9. Doubles — K. Keeran/M. Keeran (CF) def. Freiburger/Hutchinson 6-1, 6-1, Amjadi/Knox (CF) def. Timp/Herrig 6-2, 6-2, Escalada/Dodiya (CF) def. Vance/Walker 5-7, 6-4, 12-10. Team standings — 1. Cedar Falls 180, 2. Iowa City High 197, 3. Dubuque Hempstead 210, 4. Cedar Rapids Jefferson 236. Individual leaders — 1. Amara Lytle (CF) 42, 2. Grace Considine (CF) 43, 3. (tie) Morgan Hawkins (DH), Megan Sawyer (CF) 45, 5. Lauryn Varo (ICH) 46. Cedar Falls — Lytle 42, Considine 43, Sawyer 45, Tegan Schultz 50, Riley Marten 52, Marley Richter 52. Team standings — 1. Dubuque Wahlert 172, 2. Cedar Rapids Xavier 203, 3. Iowa City West 221, Waterloo West 225. Individual leaders — 1. Anna Jensen (DW) 38, 2. Anna Nacos (DW), 39, 3. Ellie Braksiek (CRX) 44, 4. Anna Kalb (DW) 47, 5. (tie) Maddie Dolan (West), Mary Edwards (DW), Elly Kalb (DW), Ellie Kouba (ICW) 48. Waterloo West — Dolan 48, Hayleigh Zikuda 51, Kate Bazan 58, Chase Doland 68. Columbus — Charlie Lorenz 44 (runner-up medalist), Trey Mudd 44, Ben Skyles 45, Jonathan Sigwarth 52. Hudson — Jacob Wiersma 42 (medalist), Joe Culham 47, Wily Souhrada 48, Joe Britson 54. 100 -- 1. Kyle Trunnell (Cedar Falls) 11.27, 2. Jibreel Bailey (Ced. Falls) 11.79. 200 -- 1. Parker Kiewiet (Dike-NH) 23.30, 2. Jeron Shaw (Wat. West) 23.86. 400 -- 1. Jackson Westemeier (Wat. West) 53.99, 2. Jack Jorgensen (Ced. Falls) 54.60. 800 -- 1. Sam Kepford (Waverly-SR) 2:00.50, 2. Luke Stromberg (Waverly-SR) 2:10.06. 1,600 -- 1. Alex Mujica (Ced. Falls) 4:54.85, 2. Alex Horstman (Ced. Falls) 4:57.71. 3,200 -- 1. Ethan Kober (Ced. Falls) 10:42.81, 2. Andrew Cummer (Waverly-SR) 10:47.97. 110 hurdles -- 1. Seth Eden (Dike-NH) 15.56, 2. Amel Saric (Wat. West) 16.86. 400 hurdles -- 1. Grant Bixby (Dike-NH) 57.32, 2. Trunnell (Ced. Falls) 57.44. 4x100 weightman's relay -- 1. Dike-New Hartford (Drew Boldt, Kaid Dennis, Jacob Thompson, Nathan Graves) 50.76, 2. Waverly-Shell Rock (Seth Blanchette, Peyton Groen, Cade Carpenter, Matt Pursell) 58.13. 4x100 relay -- 1. Cedar Falls (Trunnell, Joey Nielsen, Jibreel Bailey, Trey Campbell) 45.65, 2. Dike-New Hartford (Cade Bennett, Ryan Moore, Noah Epley, Cade Fuller) 45.97. 4x200 relay -- 1. Dike-New Hartford (Reece Harrenstein, Ely Sohn, Isaiah Woodley, Brady Huff) 1:39.13. 4x400 relay -- 1. Dike-New Hartford (Bixby, Moore, Derek Kinney, Kiewiet) 3:32.52, 2. Waterloo West (Westemeier, Sebestain Gunderson, Adnan Rizvanovic, Jeron Shaw) 3:37.93. 4x800 relay -- 1. Cedar Falls (T.J. Tomlyanovic, Mujica, Zach Biles, Easton Sckerl) 8:53.09, 2. Waverly-Shell Rock (Stromberg, Nick Kepford, Logan McCullough, Ethyn Chestnut) 9:16.84. Sprint medley relay -- 1. Cedar Falls (Jake Raecker, Zander White, Carter Ernst, Ryan Finck) 1:46.62, 2. Dike-New Hartford (Jacob Thompson, Harrenstein, Dennis, Gabe Skornia) 1:47.55. Distance medley relay -- 1. Dike-New Hartford (C. Fuller, Bixby, Kiewiet, Moore) 3:45.90, 2. Waverly-Shell Rock (Daniel DeBower, Ben Hemer, N. Kepford, Elijah Davis) 3:59.36. Shuttle hurdle relay -- 1. Dike-New Hartford (Eden, Bixby, Sohn, C. Fuller) 1:01.05, 2. Cedar Falls (Owen Ausborn, Logan Hoag, Jake Block, Raecker) 1:08.18. High jump -- 1. Dane Fuller (Dike-NH) 6-0, 2. Bando (Wat. West) 5-8. Long jump -- 1. Kiewiet (Dike-NH) 22-9.75, 2. Zeph Toe (Wat. West) 20-5.0. Shot put -- 1. Jackson Leistikow (Ced. Falls) 49-8, 2. Mosai Newsom (Waverly-SR) 49-5. Discus -- 1. Newsom (Waverly-SR) 150-11, 2. Leistikow (Ced. Falls) 136-11. Singles -- Daniel Buchanan (Col) def. Connor Patterson 6-0, 6-0, Joseph Haag (Col) def. Carter Kelley 6-3, 6-1, Jon Dobson (Col) def. Joe Zehr 6-0, 6-1, Nick Rose (Boone) def. Alex Buser 6-4, 0-6, 10-5, Brandon Rouse (Boone) def. Alex Feldman 6-1, 6-0, Mason Monaghan (Col) def. Jacob Sterenberg 6-4, 5-7, 12-10. Doubles -- Buchanan/Haag (Col) def. Kelley/Zehr 6-1, 6-0, Patterson/Rouse (Boone) def. Dobson/Buser 6-4, 6-4, Rose/Ben Crave (Boone) def. Dylan Mack/Simon Larsen 6-1, 6-4. Singles -- Taylor Hogan (Col) def. Myra Bernard 6-0, 6-2, Elysse Trost (Col) def. Lauren Wieland 6-3, 4-6, 10-7, Grace Sullivan (Col) def. Kinsie Zinnel 6-1, 6-0, Margaret Harn (Col) def. Elle Turner 6-2, 6-1, Alaney Parker (Boone) def. Bailey Sinnwell 3-6, 6-2, 10-5, Chloe Butler (Col) def. Anna Freund 6-1, 7-5. Doubles -- Hogan/Trost (Col) def. Bernard/Wieland 6-2, 6-2, Sullivan/Butler (Col) def. Zinnel/Turner 6-1, 6-2, Harn/Bre Phillips (Col) def. Parker/Freund 6-3, 7-5. Singles -- McKenzie Simon (WD) def. Meredith Eighmey 7-5, 0-6, 10-6, Brianna Dolphin (WD) def. Regan Davis 6-2, 6-3, Olivia Kertels (WD) def. Ava Shepard 6-3, 6-1, Alyson Hurley (West) def. Meg Besler 6-1, 6-4, Sarah Rizvic (West) def. Grace Pitz 7-6, 2-6, 1-0, Kaitlyn Meyers (West) def. Amanda Dougherty 6-4, 6-1. Doubles -- Simon/Dolphin (WD) def. Eighmey/Davis 6-3, 6-4, Kertels/Pitz (WD) def. Hurley/Shepard 6-2, 6-3, Meyers/Rizvic (West) def. Besler/Dougherty 6-4, 6-1. Singles -- Krisha Keeran (CF) def. Anna Freiburger 6-0, 6-1, Mira Keeran (CF) def. Caroline Hutchinson 6-0, 6-1, Malina Amjadi (CF) def. Macy Vance 6-0, 6-2, Jamie Knox (CF) def. Sydney Timp 6-4, 6-0, Morgan Herrig (DW) def. Elena Escalada 5-7, 7-5, 11-9, Claire Walker (DW) def. Vipsa Dodiya 4-6, 6-4, 11-9. Doubles -- K. Keeran/M. Keeran (CF) def. Freiburger/Hutchinson 6-1, 6-1, Amjadi/Knox (CF) def. Timp/Herrig 6-2, 6-2, Escalada/Dodiya (CF) def. Vance/Walker 5-7, 6-4, 12-10. Team standings -- 1. Cedar Falls 180, 2. Iowa City High 197, 3. Dubuque Hempstead 210, 4. Cedar Rapids Jefferson 236. Individual leaders -- 1. Amara Lytle (CF) 42, 2. Grace Considine (CF) 43, 3. (tie) Morgan Hawkins (DH), Megan Sawyer (CF) 45, 5. Lauryn Varo (ICH) 46. Cedar Falls -- Lytle 42, Considine 43, Sawyer 45, Tegan Schultz 50, Riley Marten 52, Marley Richter 52. Team standings -- 1. Dubuque Wahlert 172, 2. Cedar Rapids Xavier 203, 3. Iowa City West 221, Waterloo West 225. Individual leaders -- 1. Anna Jensen (DW) 38, 2. Anna Nacos (DW), 39, 3. Ellie Braksiek (CRX) 44, 4. Anna Kalb (DW) 47, 5. (tie) Maddie Dolan (West), Mary Edwards (DW), Elly Kalb (DW), Ellie Kouba (ICW) 48. Waterloo West -- Dolan 48, Hayleigh Zikuda 51, Kate Bazan 58, Chase Doland 68. Columbus -- Charlie Lorenz 44 (runner-up medalist), Trey Mudd 44, Ben Skyles 45, Jonathan Sigwarth 52. Hudson -- Jacob Wiersma 42 (medalist), Joe Culham 47, Wily Souhrada 48, Joe Britson 54.